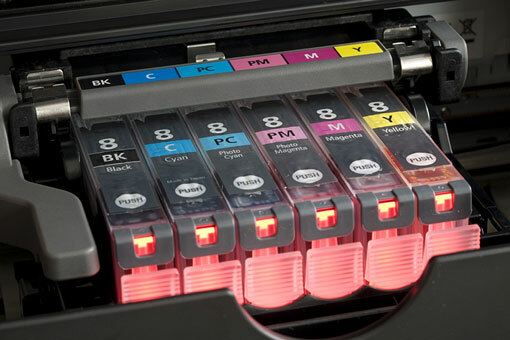 Multi-colored ink cartridges sit in a printer. Black, magenta, cyan, and yellow can be used together to make a variety of colors. Simply hit the print button and your document will be delivered in the colors you desire. When a cartridge is empty, replace it with a full cartridge.